Check out the ACDA shop on Spreadshirt! We opened our own online shop to sell directly to you with a designated portion of the sale supporting the ACDA. The ACDA earns a commission equal to 20% of every product sold! Spreadshirt then deposits our earned commission payments directly to the ACDA account on a quarterly basis. T-shirts are just the beginning of the products offered…check out our store to see hoodies, baby clothes, buttons, mugs, drinkware, phone cases, tote bags, doggie bandanas, etc. Standard shipping rates in the U.S. are $5 shipping for orders up to $49.99, $7 shipping up to $99.99, $10 shipping up to $159.99 and free shipping on $160+. Please see the website for international shipping rates, which is available to many countries worldwide. Be sure to check out the banner at the bottom of our store to see if there are any sale promotions currently running! Please also refer to Spreadshirt’s fair return policy. Please contact us if you are organizing a fundraiser and would like to coordinate with us to add your child’s name to our designs for sale in the store for a set time period during your fundraising efforts. Please also let us know if there is a special product you would like us to add to our shop. 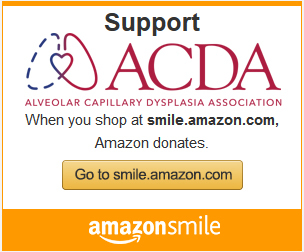 We look forward to spreading the word about ACDMPV and raising funds for the ACDA through our shop!